FREQUENCY OF FINDING FUNGUS IN HIDDEN AREAS OF SPHENOID SINUS UNDERWENT FESS FOR SINONASAL POLYPOSIS:A RETROSPECTIVE OBSERVATIONALSTUDY. M. Jamil Memon Tibri Medical College, Karachi. 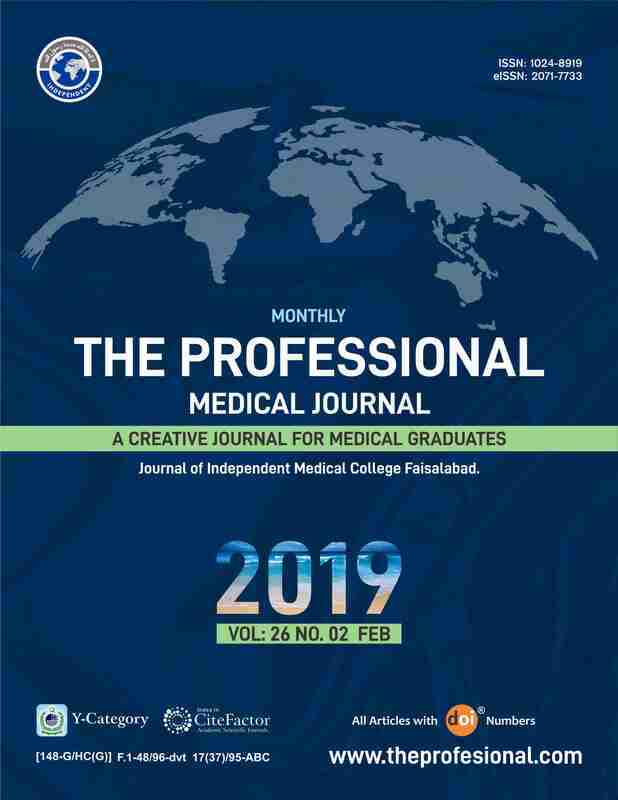 Sohail A. Malik Qureshi Tibri Medical College Isra University Campus, Karachi. Objectives: Practice to see the sphenoid sinuses for the presence of fungus to get the objective of complete removal of sinonasal polypi and its recurrence. Study Design: Retrospective observational study. Place and Duration: Department of ENT and Head and Neck surgery Al-Tibri Medical College Hospital, Isra University Karachi Campus from June 2016 to December 2017. Method: 60 cases of sinonasal polyposis with no co-morbidity like hypertension, diabetes etc, underwent FESS, 32 were male, 28 were female, age range from 18 year to 60 year. In 24 patients we found fungus in sphenoid sinus after removing polyps from other areas. Result: We found in 40% of cases in sphenoid sinuses with pure sionasal polypi. Conclusion: There is always possibility of finding fungus in hidden areas of sphenoid sinus when we are dealing sinonasal undergoing FESS. M. Jamil Memon, Tibri Medical College, Karachi. Sohail A. Malik Qureshi, Tibri Medical College Isra University Campus, Karachi.